Here you can find a strain description about Arjans Haze #1 5fem (Greenhouse) and also some user-based reviews and infos directly from the SeedFinder (if available). 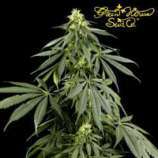 You can also find the offers and auctions here if Arjans Haze #1 5fem (Greenhouse) cannabis seeds are on stock at MyCannapot right now. Arjans Haze #1 was a first place winner of the 2004 High Times People Cannabis Cup. It's a must for all connoisseurs and breeders, and is a very special plant that has a lot of fine qualities. Strength: Uplifting high, strong and long lasting. THC: 22,3%. CBD: 0,9%. CBN: 0,7%. Flowering Time: Indoors: 11 weeks / Outdoors: In the Northern emisphere will finish in mid-October. In the Southern emisphere in May. Initiation of flowering onto around 36 cm. - Final Height onto around 143 cm. dennoch war das endprodukt super gut! tolles aroma und ein sehr kräftiges euphorisches high das einen schweben lässt! Tohtori GHSC website says that Arjan's Haze#1 is G13xHaze. Not secret pedigree anymore but, who knows? One of the best sativas.. Ready around 80 days, but it doesnt need long veg, so it is compensated and it is pretty fast when think it that way. Nice daytime smoke. Super clear and fresh fruity aroma with hint of mint ..incredible fresh fertile scent. Buy Arjans Haze #1 5fem (Greenhouse) now at MyCannapot!